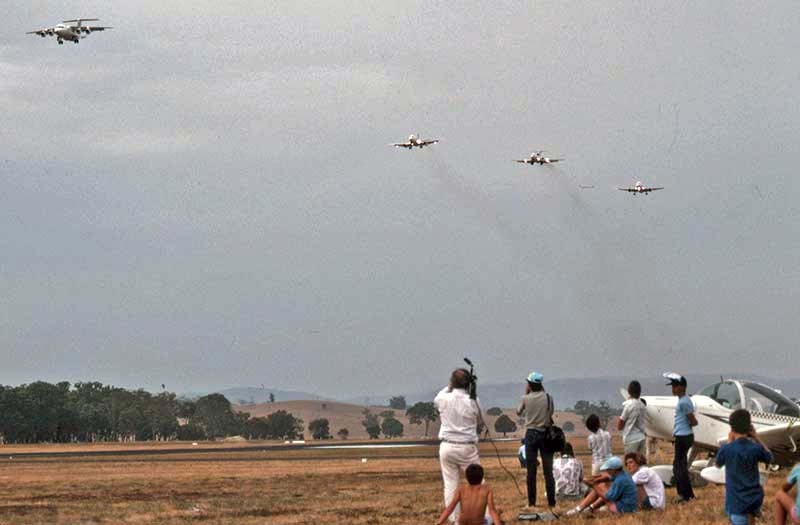 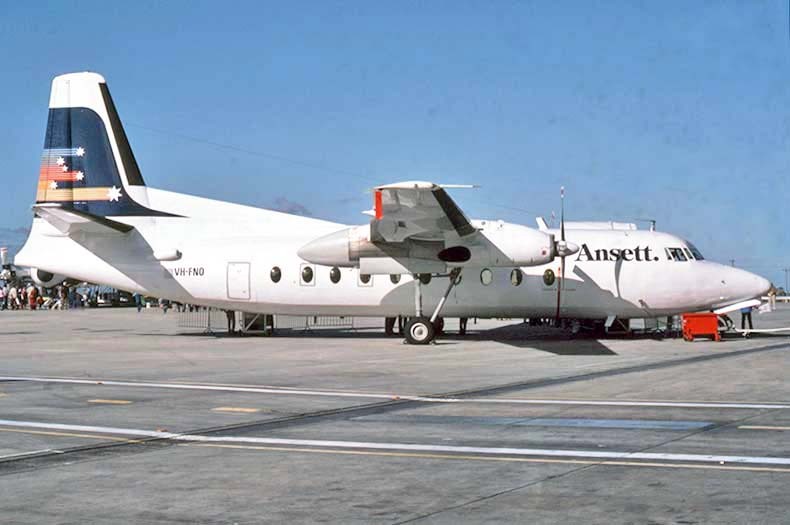 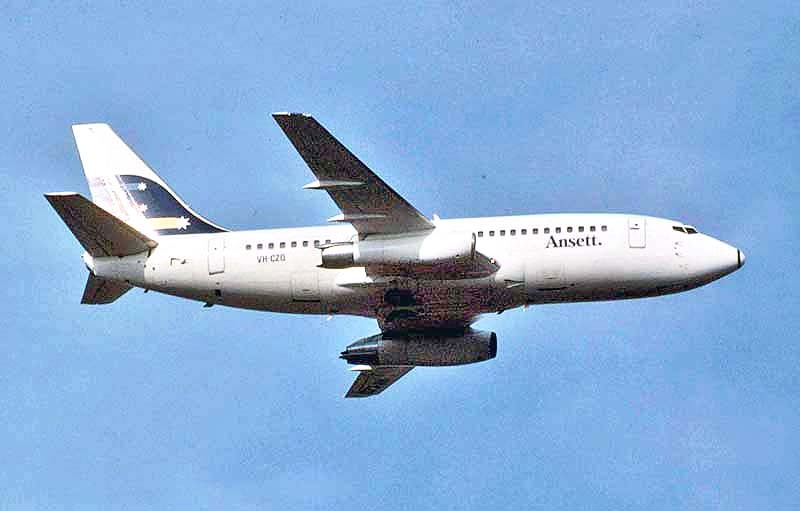 During the 1980s Ansett Airlines of Australia participated in the annual Easter airshows at Mangalore in country Victoria. 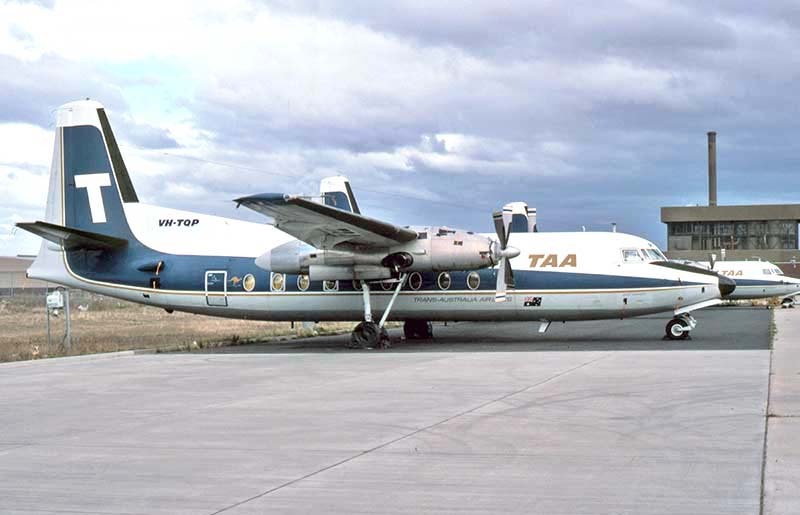 TAA withdrew its last Fokker F.27 Friendships in the early 1980s. 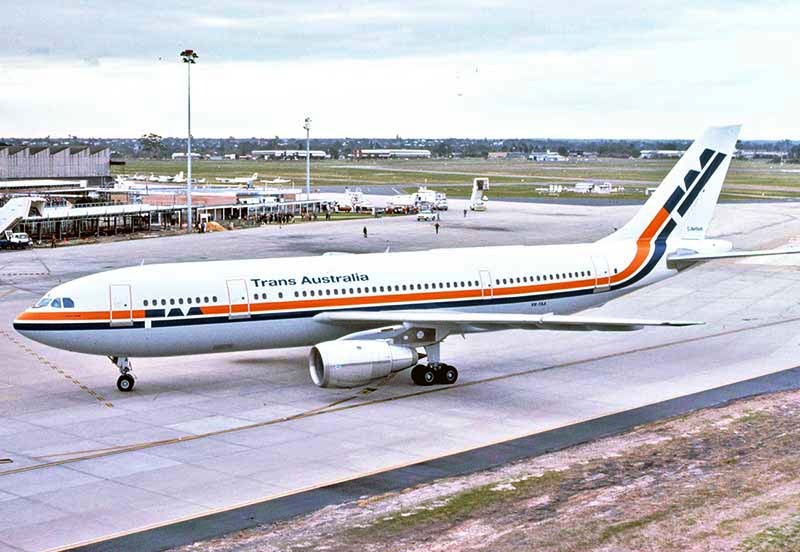 TAA changed name in 1986 to Australian Airlines. 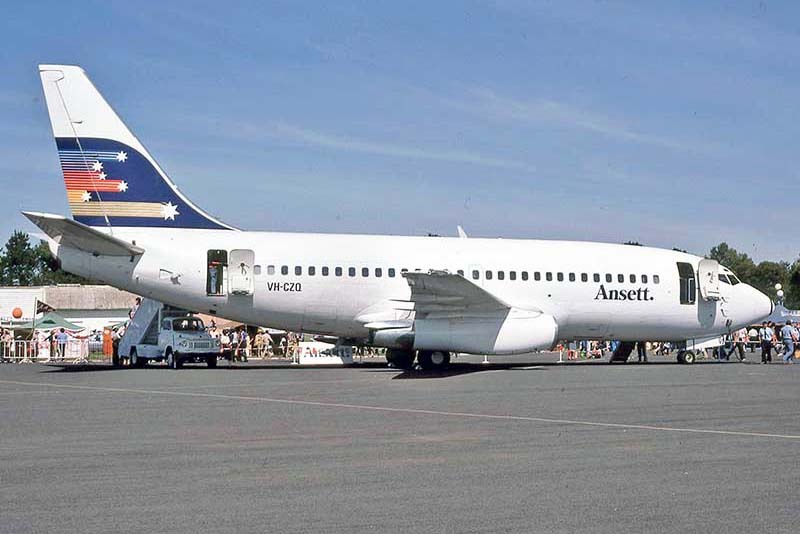 and introduced this attractive new scheme. 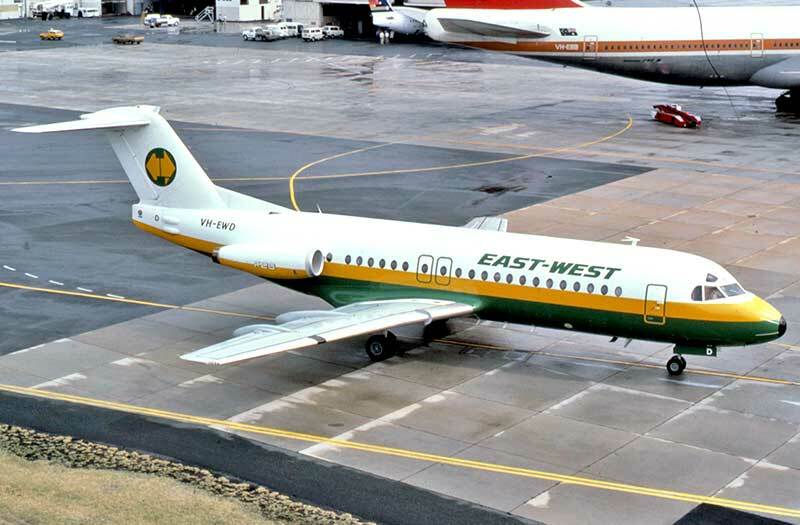 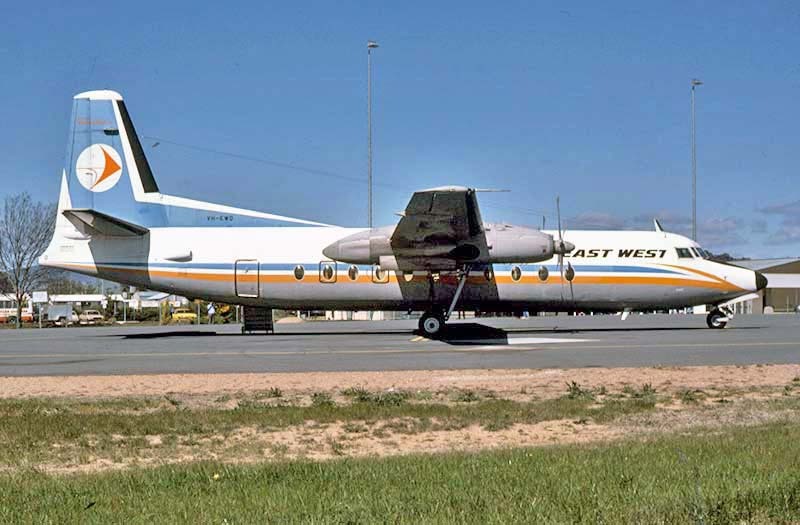 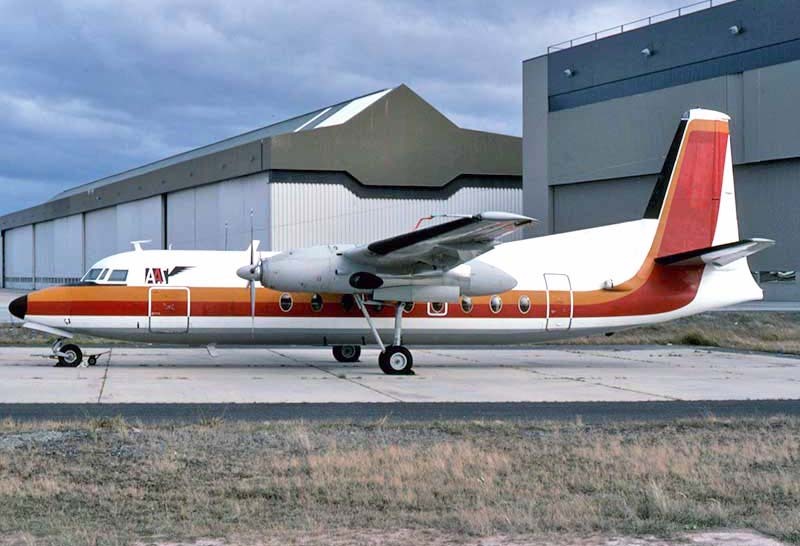 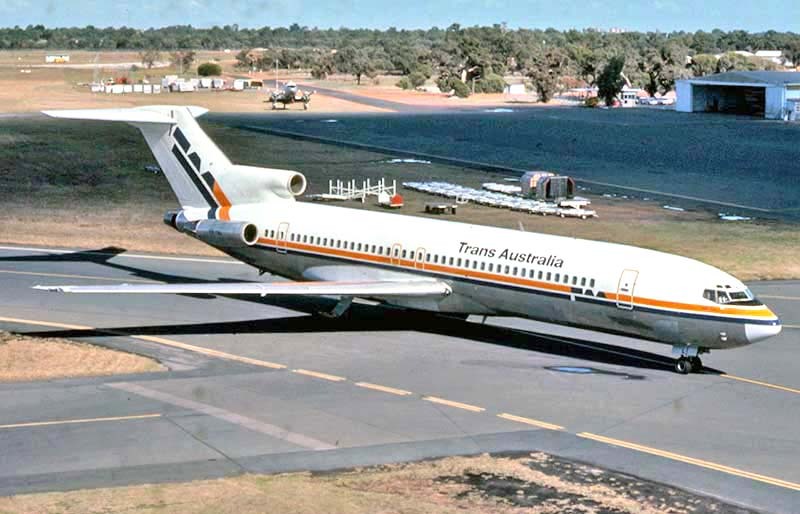 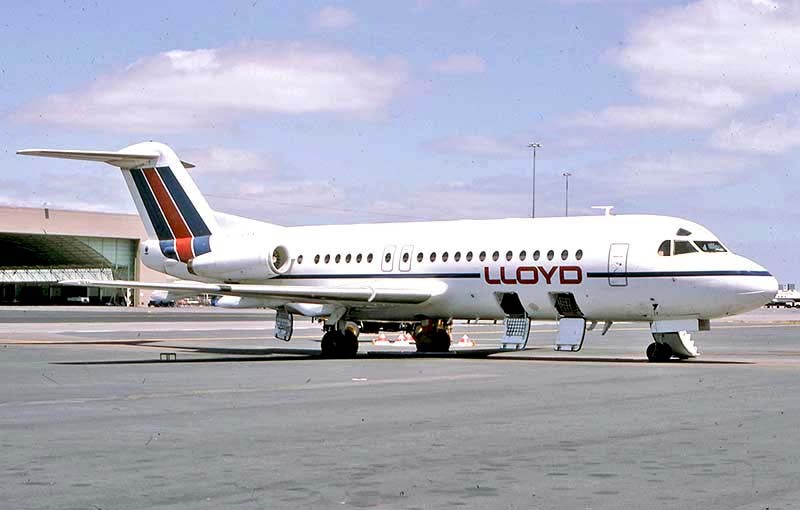 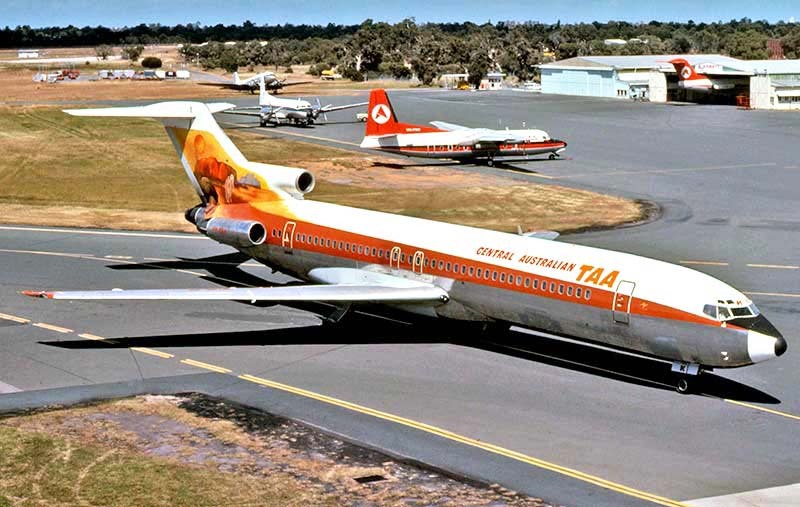 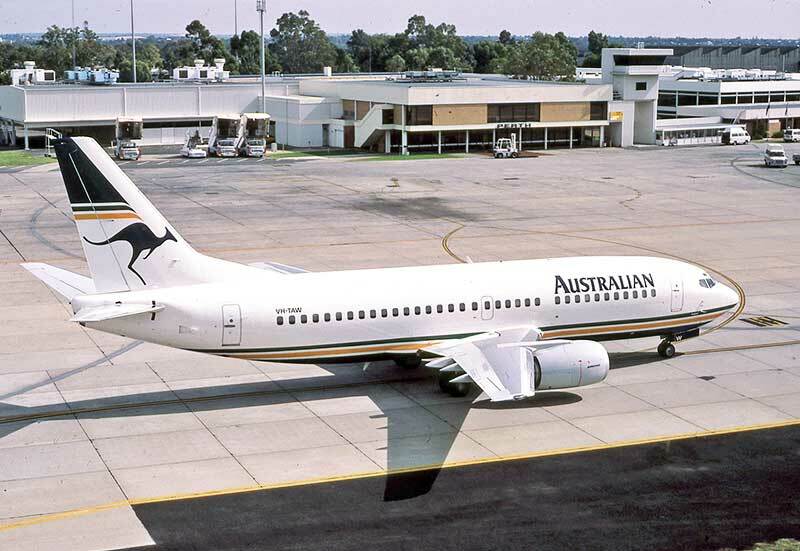 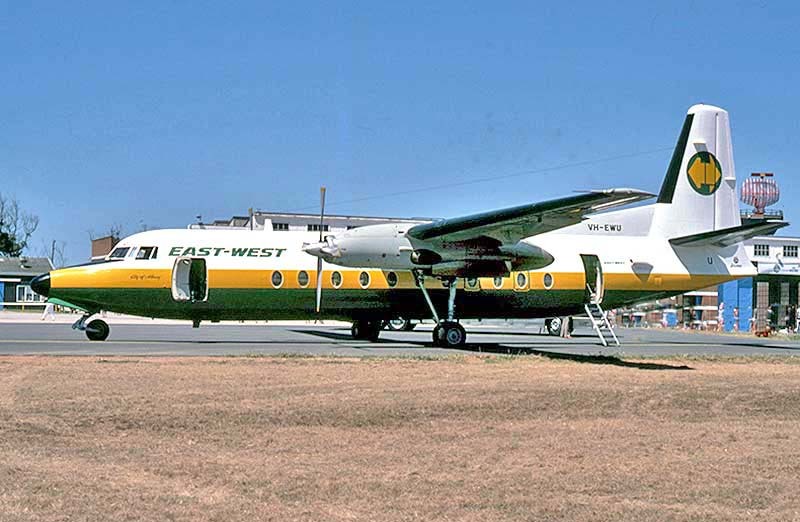 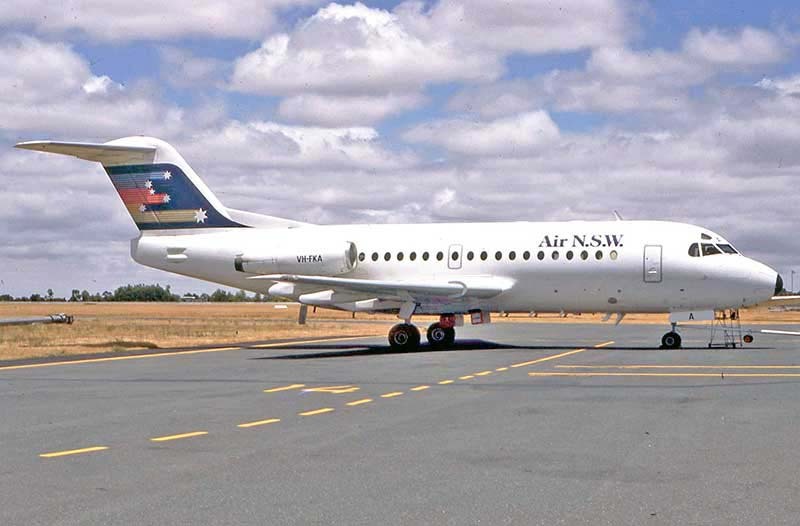 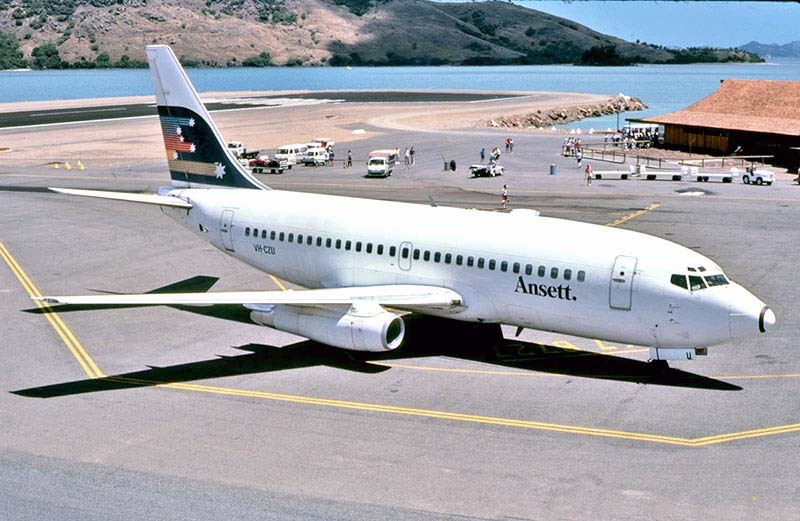 NSW Regional operator East West Airlines began the decade with an all Friendship fleet. 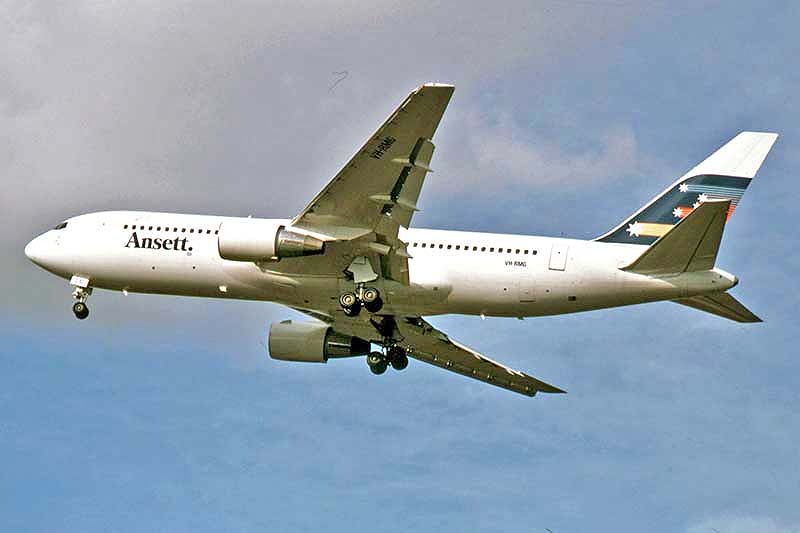 Back to Ansett. 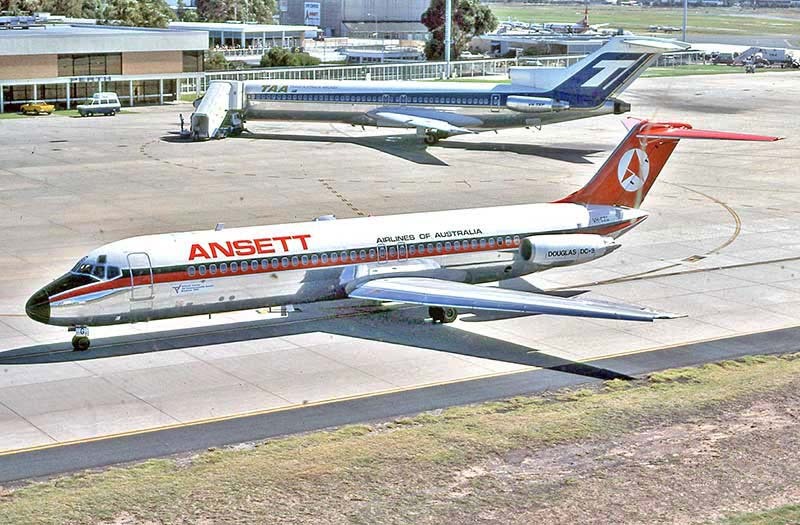 Sir Reginald Ansett said the DC-9 was his favourite aircraft and the most economical airliner he ever operated. 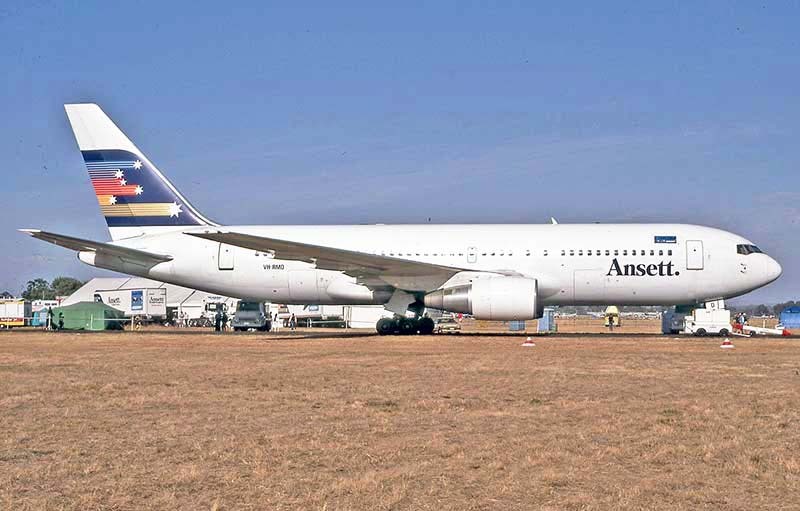 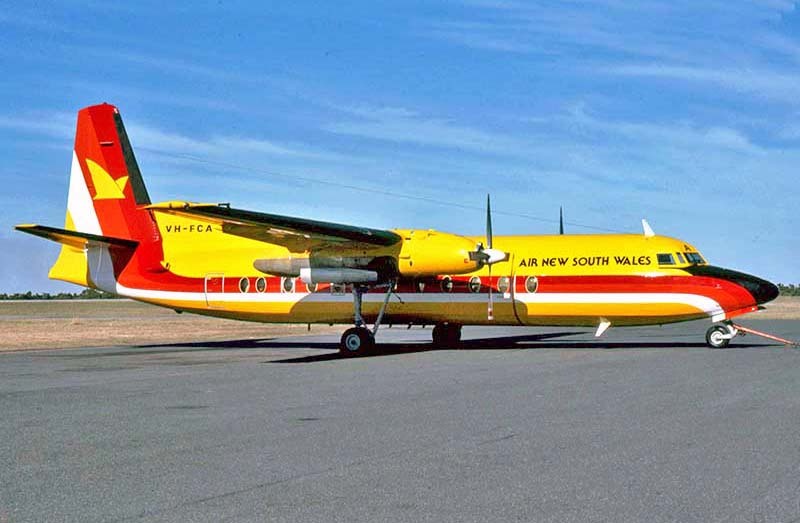 Ansett associate Airlines of NSW was rebadged as Air NSW with this "Yellow Canary" scheme early in the 1980s. 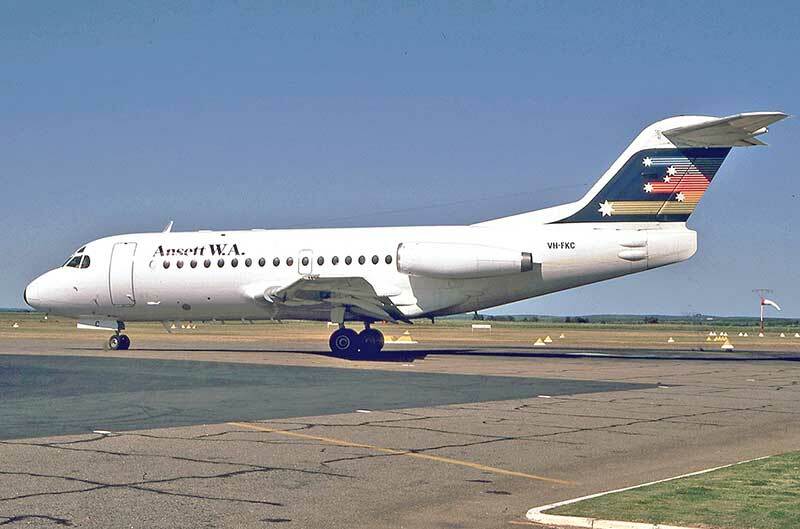 MMA became Airlines of WA and then Ansett W.A. 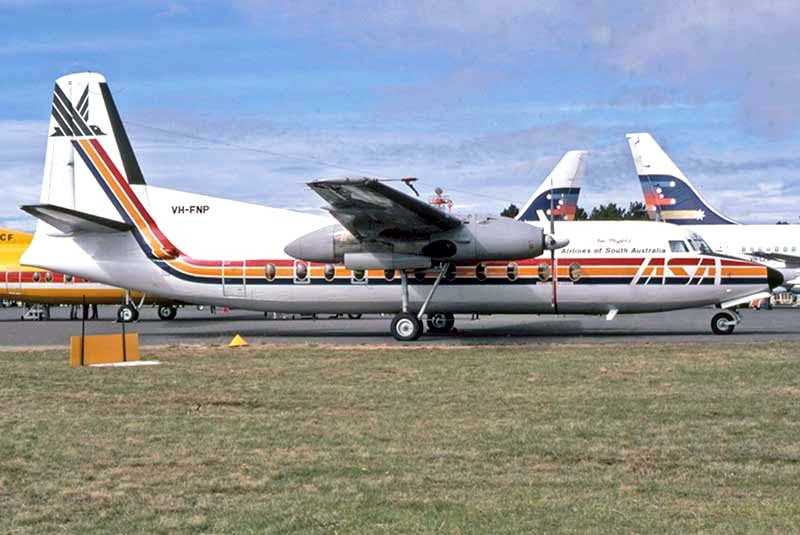 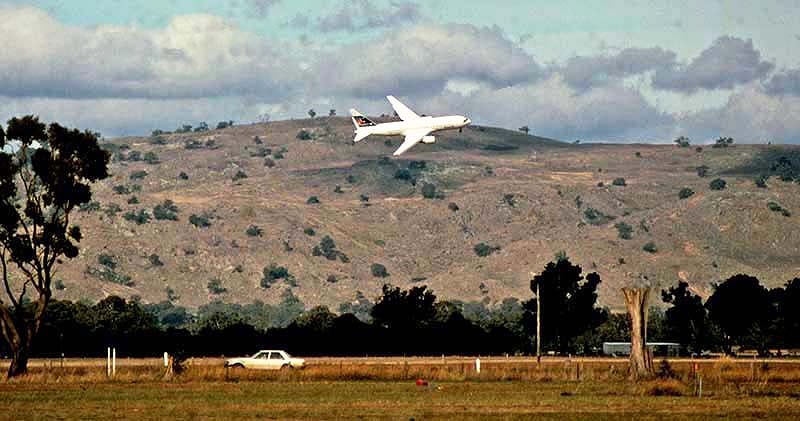 Refer 1980s Perth Airport in this series for picture coverage. 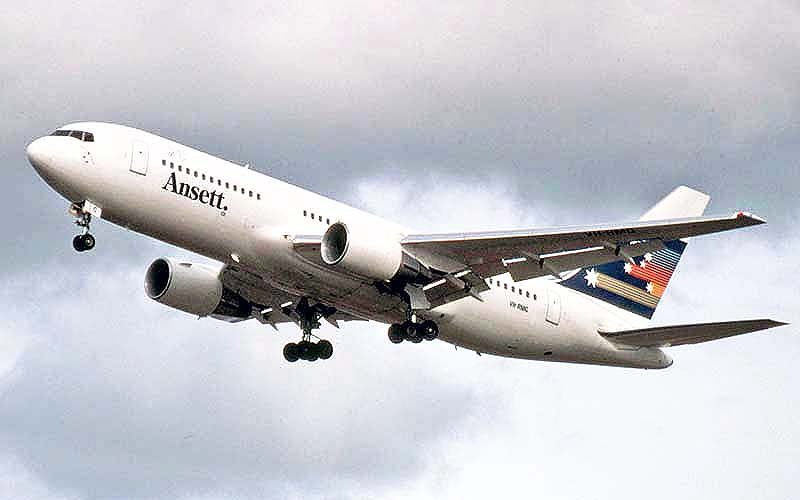 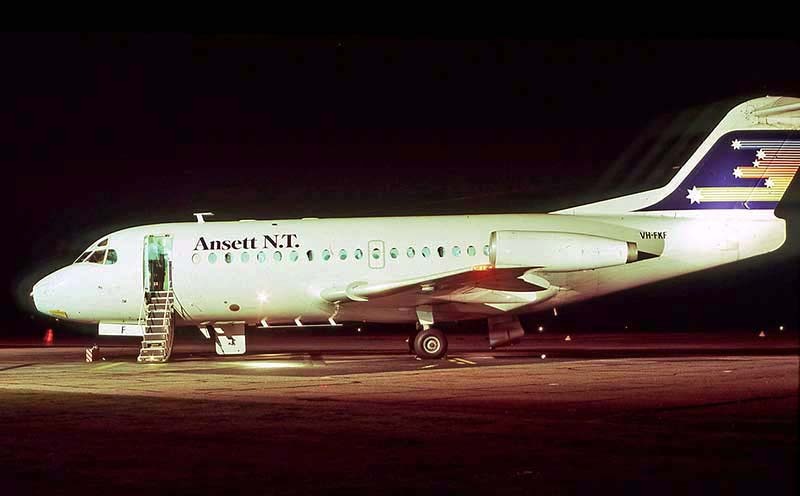 A new operation was Ansett N.T., based at Darwin, Northern Territory. 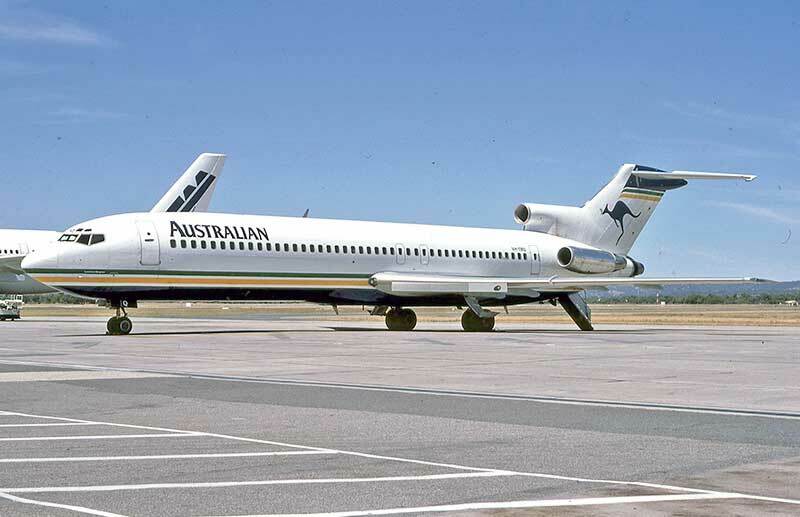 in July 1988 being used by CSIRO on research tasks, crewed by East West pilots. 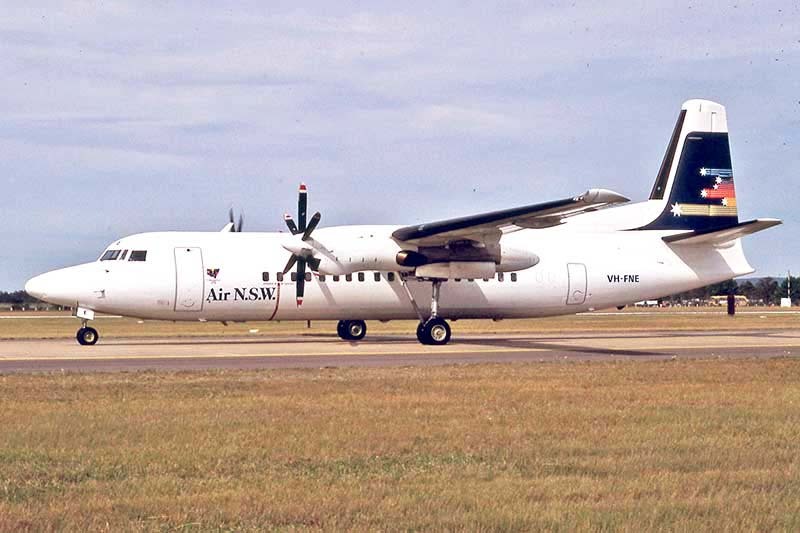 Australian Aircraft Sales had parked this former Air New Zealand F.27 ZK-NAH at Melbourne Airport in April 1984. 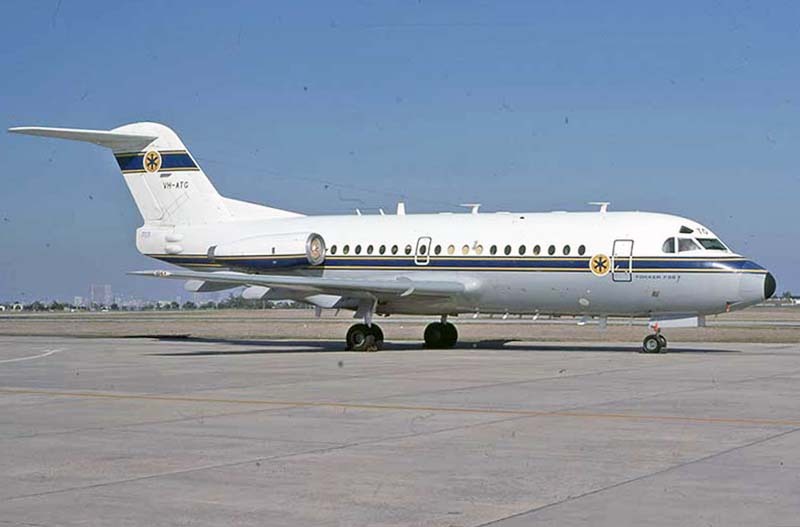 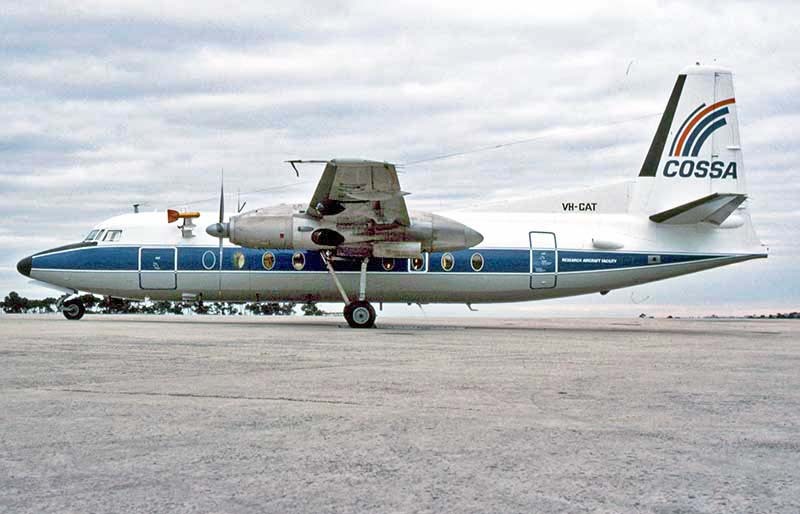 DCA had become Department of Transport Air Transport Group by 1977 when it purchased three F.28s to replace its F.27s.